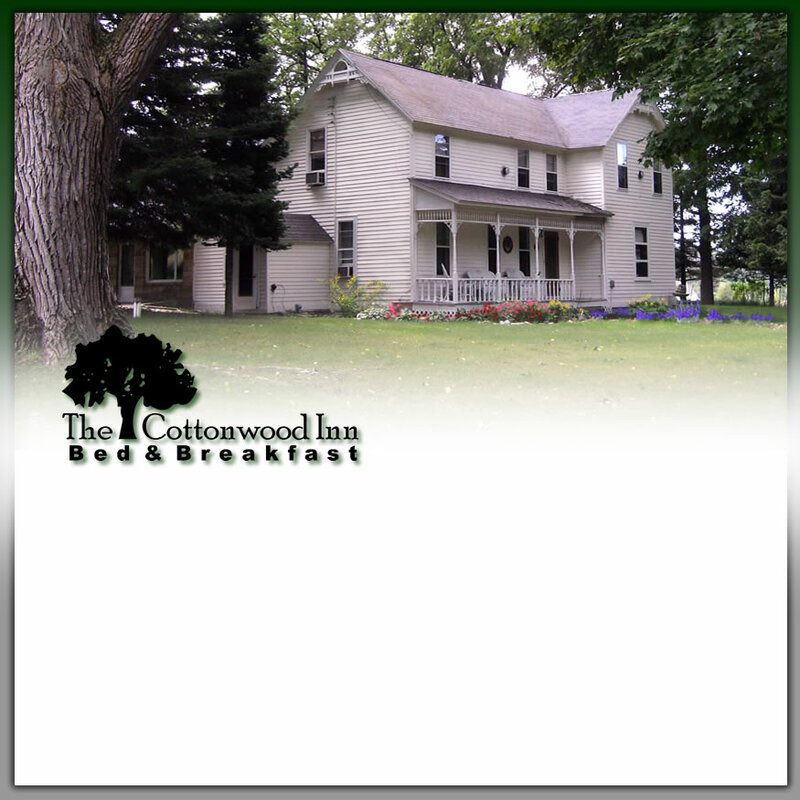 In the heart of Sleeping Bear Dunes National Lakeshore, The Cottonwood Inn Bed & Breakfast is surrounded by giant cottonwoods and has all the ambiance you would expect from an historical farm house, including three rambling porches and the perfect red barn. The Cottonwood Inn is within walking distance of Empire Beach on beautiful Lake Michigan, and downtown Empire. Lovingly attended by daughter and mother, The Cottonwood Inn is much more than a B & B, hosting weddings, family reunions, and barn parties. Please peruse our website for an indepth look at our grounds, accommodations, and peaceful surroundings.